One of the latest trends is America's southern style of slow-cooked BBQ dishes. 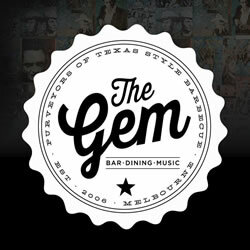 American BBQ Restaurants can now be found in many Melbourne suburbs. Here's a few of our favourite barbecue spots in Melbourne. Bluebonnet Barbecue | 124-126 Lygon Street, Brunswick East It's been three years since fire razed the original Bluebonnet Barbecue in Collingwood in 2015. Now, after short- ..
Smokehouse Absinthe Salon Cocktail Bar Oyster Room Beer Garden Le Bon Ton's food menu showcases dishes and cooking techniques drawn from multiple regions of the Americ ..
We were Melbourne's first 'low and slow' smoked meat experience. Our Founder, Lance Rosen, fell in love with Kansas City BBQ and has done many BBQ road trips to the USA. He was .. Fancy Hank's BBQ Joint serves traditional American style slow cooked BBQ. Starring beef and pork ribs, brisket, pulled pork and 'beer can' chooks all cooked using traditional pit s ..
Great food, live music, country fried interior, local bar, Texas BBQ on Sundays. 'We've been doing American southern-style barbecue for two years and shipped our smoker over fr .. Hog Lobster Bar & Grill is Melbourne's best destination restaurant. We welcome families, couples, singles, car clubs, bike clubs or anybody that wishes to have a dining experie ..
Kevin Bludso, owner of iconic Bludso's BBQ, brings his unique smokehouse flavours to San Antone by Bludso's BBQ - exclusive to Crown Melbourne. With smoked meats, tasty sides a ..